This beautifully constructed five piece table and chair set will become an immediate focal point in any dining room space. The antique white finish of the wood pieces give them a rustic cottage feel, along with the intricate design work of the pedestal base and chair legs. 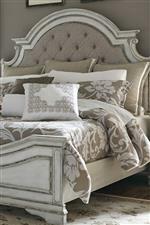 The table top boasts a more modern appearance, lending itself to the overall transitional look of this set. An 18 inch leaf makes it possible to accommodate more people in your dining space, adding to the functionality of this visually stunning piece. The side chairs present a wonderful seating space, crafted from poplar solids and birch veneers, they showcase comfortable seats upholstered with ivory tweed chenille. Completed with a traditionally-styled full back and turned front legs, these vintage chairs are perfect for your timeless dining setting. 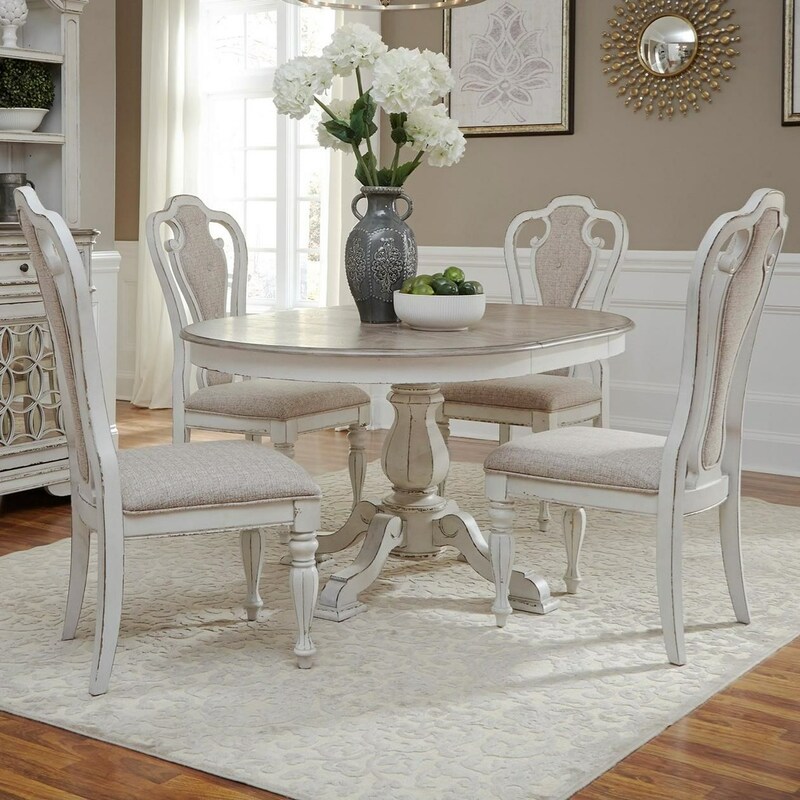 The Magnolia Manor 5 Piece Table Set with Upholstered Splat Back Chairs by Liberty Furniture at Zak's Home in the Tri-Cities, Johnson City, Tennessee area. Product availability may vary. Contact us for the most current availability on this product.